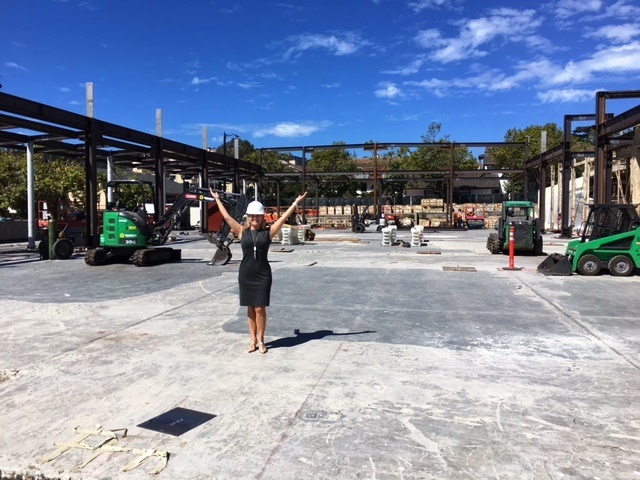 The renovation continues at the Monterey Conference Center located in the heart of downtown Monterey, CA and our team could not be more excited to share the latest updates to the $60 million dollar renovation! 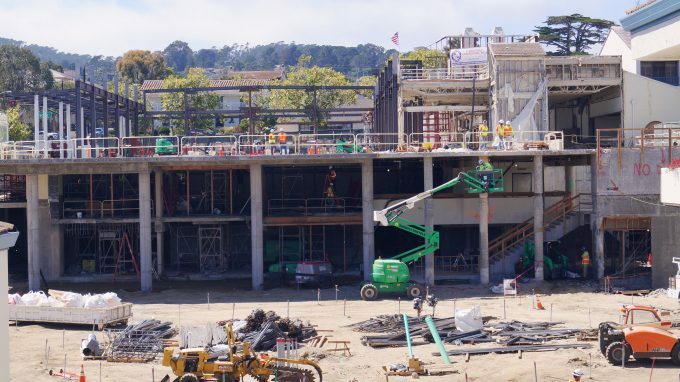 Renovations continue at the Monterey Conference Center. With the demolition officially complete the Stronghold Engineering crew is installing steel beams to support the infrastructure of the 41,000 square foot state-of-the-art meeting facility. The installation of the steel beams is a huge step forward in the rebuild of the conference center and a stage closer to framing the building. Nancy Williams, Director of Sales & Events at the Monterey Conference Center, tours the construction site. Directly in front of the Monterey Conference Center and adjacent to the Portola Hotel & Spa, the Portola Plaza driveway is underway with plans for a new fountain to welcome meeting attendees and guests to the area as they drive or walk up to the Conference Center. 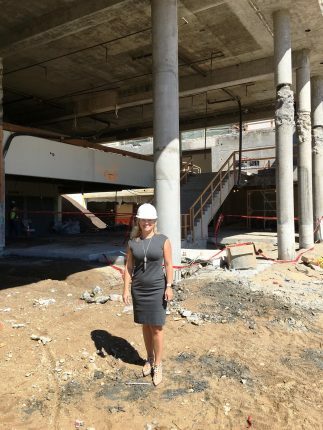 The Portola Plaza is scheduled to reopen this fall. As the renovation is in progress, needed repair work to Jeffers Plaza, located on the second floor, lead to an overhaul of the space with a new surface and refreshed landscaping. Jeffers Plaza connects the Conference Center and Portola Hotel offering outdoor break space for attendees to take in the coastal air and recharge in between meetings and events. The Monterey Conference Center is on track for the projected spring 2017 reopening and we are thrilled to share updates and photos along the way. 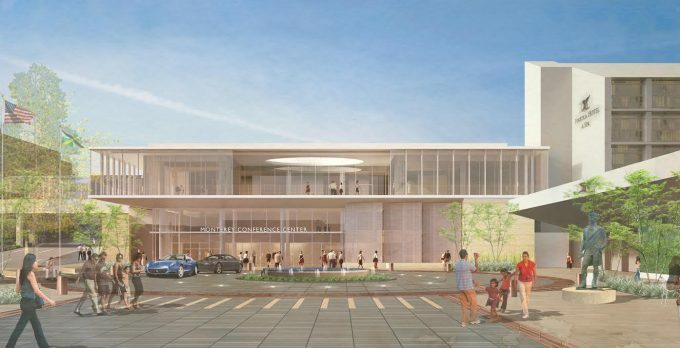 To stay connected and up to date on the renovation visit our website, www.montereyconferencecenter.com and follow us on social media on Facebook, Instagram and Twitter.